Tags: Animal, Antique Print, Bird. Etching of two Cockatoos by Dirk Homberg. 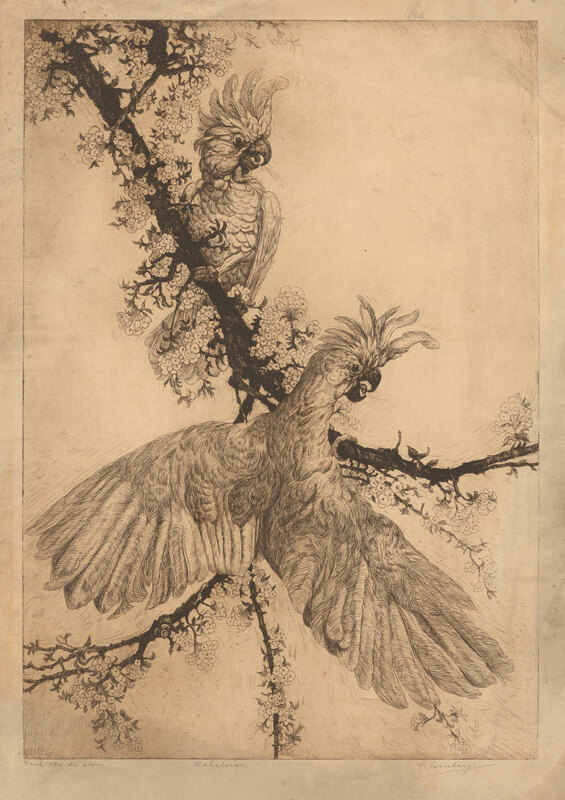 A fine early to mid-20th century black and white etching of two cockatoos perched on a branch of a tree in full flower by Dirk Homberg (1885-1952), the Dutch artist, painter, lithographer who studied in Rotterdam and produced etchings of city and rural landscapes of Indonesia. The work is signed by the artist. Good condition apart from some grey marks and patches around the edges, one tear is repaired profesionaly Measures 542 x 377 mm.